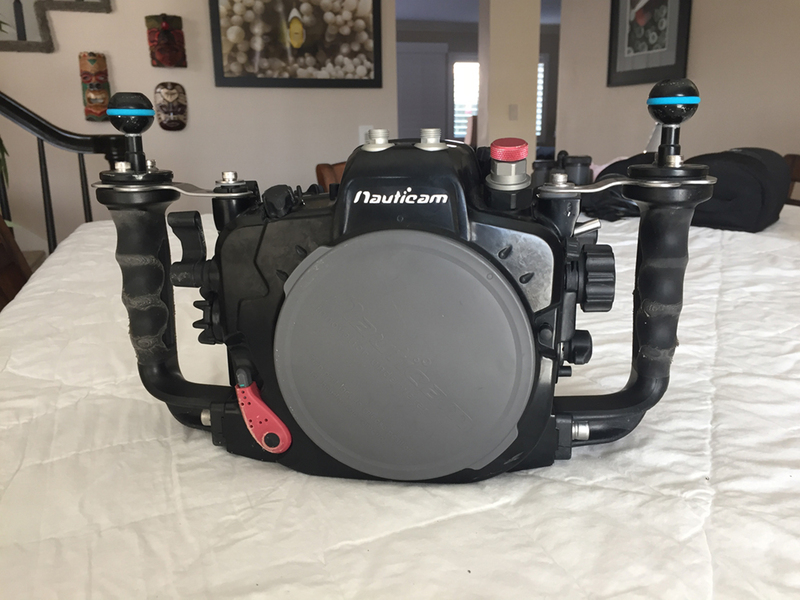 I am upgrading to a Nauticam D850 system and am selling my Nauticam D7100 housing and other gear. I'd like to sell as a system if possible. We can talk about breaking it apart if I don't have any luck selling it as a pack. I also have two lenses that I'm selling separately from the Nauticam system I'm parting with. 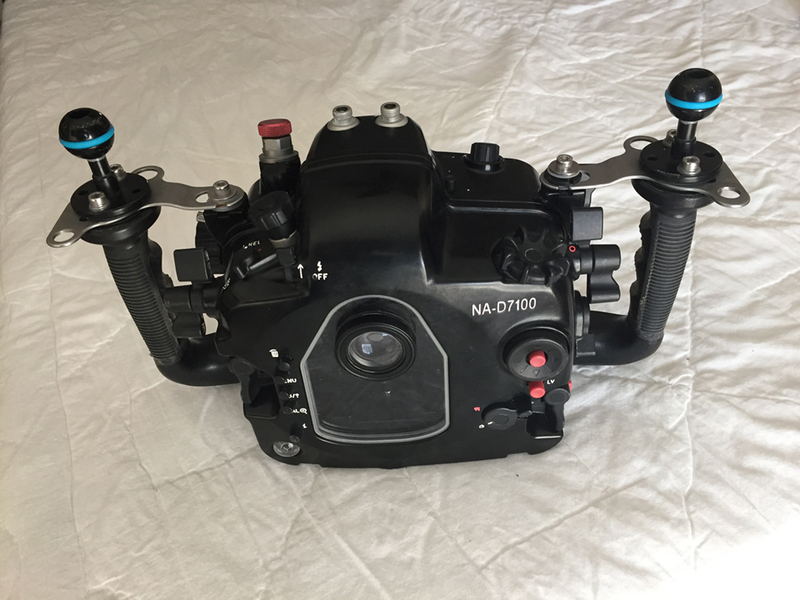 Nauticam DA 7100 housing: Comes with a Nikonos Sync port for hard wiring strobes if you want. Pretty decent condition but like any housing put to good use there are some scratches, mainly along the bottom. Never gotten wet inside and the internal mechanisms are like new. Nikon D7100 Bodies: I have three bodies but am keeping the primary body for a friend. It has the most use. The two remaining bodies are very clean and have not been used nearly as much as my primary, which, again, I'm keeping. Cosmetically, the bodies are very clean. I am open if someone does not want both bodies, but my personal preference is to have a back up. Each body comes with battery, charger, cable, strap and manuals in their original Nikon boxes. Nikon 10-24 DX lens: I used this lens on five dives only and on a trip to Hawaii topside. Otherwise it is essentially new. You will need a dome port as I am keeping mine. Also includes the appropriate Nauticam zoom gear. Zen Mini Dome (non removable shade version). In very good condition. Glass is flawless with no scratches, body has minimal cosmetic wear. Tokina 10-17 lens. I have only used this lens underwater. When not diving it is sealed inside of the housing and stored in an ice chest. Very clean, no visible wear. Includes Nauticam zoom gear. Kenko 1.4X tele-converter with extended zoom gear. Does NOT include the Nauticam 20mm extension ring required to use this device. I'm keeping that for my new system. Two Inon Z240's. I have four of these and the two for this system are the back ups, so they have less use and are cleaner than my primary strobes. Each strobe comes with a ball mount. Still, there is some minor scratches on the body but nothing that in any way affects form, fit or function. Each comes with a diffuser and spare o-ring set. Does NOT include fiber optic cables. 800 Lumen Fisheye Fix aiming light. The light works great but the lock switch does not prevent the dial from rotating when not in use. If it gets bumped it can turn the light on. Comes with two batteries and charger. Nikon D810 body only: $1700. Cosmetically clean. 30,714 shutter clicks so a lot of bandwidth to go to the expected life of 200,000 shutter actuations. Comes with battery, strap, manuals, cable and original box. Would you sell just one d7100 body? Yes, I would. Would like to wait for a week or so to see if anyone is interested in the package. I have a post elsewhere and need to give it time to simmer. I will ping you next week andnif you are still interested we can talk. 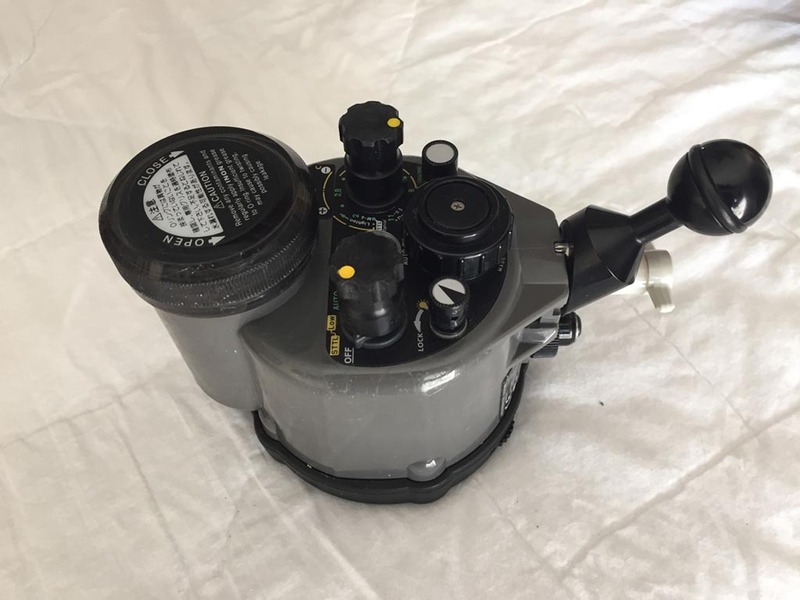 $350 for the body. Getting a few PMs on breaking up the system. Let me give the package a week or so and i will open up to piece meal if i need to. Edited by Kelpfish, 13 November 2018 - 09:11 AM. So I have had a few messages asking for specific stuff in the package. Since I have no takers, I am going to break it up. Right now I prefer to ship in the USA only. Zen mini dome: $450 (a few abrasions on lens shade, glass is perfectly clean). Please email me at joe [at] joe belanger [dot] com. Yes if in the USA. Edited by Kelpfish, 17 November 2018 - 08:36 AM. Someone bought the D7100 housing but backed out when payment became real. So it is up for sale again if anyone is interested. I know I've had several emails from here asking if it was available but I said no because it was "technically" sold. So right now it is available.